The Model Shipwright: "I Want to Build a Model Ship"
"I Want to Build a Model Ship"
"I want to build a ship model just like that." Then, you quickly think: "But I could never build a model ship that detailed." And in this blog, I will show you how. Ship modeling is a wonderful hobby to take your mind off the daily stresses, while at the same time exercising your mind by learning about the rich and varied history of maritime transportation. The best way to get started in ship modeling is to think about what you want to build. That three-masted clipper with a maze of rigging that piqued your interest is certain to make your mind race with possibilities, but it's also a very complicated project that will take an extraordinary amount of time to finish. It's probably a better idea to set your sights a little lower for your first project. There are hundreds of types of ships, and thousands of variations of those types. There are a number of good books out there to help you sort through them. One of the best authors of these books (in regards to American sailing ships) is Howard Irving Chapelle. 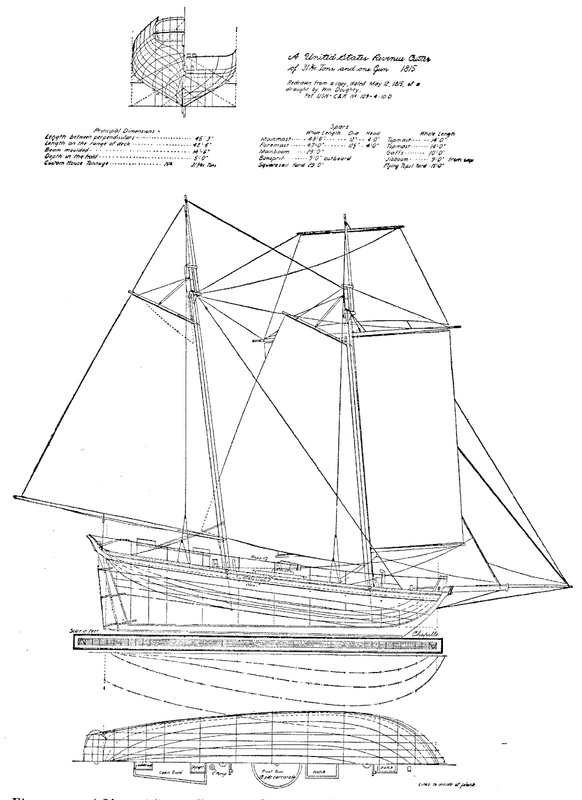 American Small Sailing Craft is mainly limited to boats of 40 feet or less (as one might infer from the title), and details the development of everything from rowboats to fairly large fishing vessels. The History of American Sailing Ships covers the development of the bigger ships not covered in the first volume, including an overview of naval vessels. History of the American Sailing Navy delves into much more detail of the development of naval vessels, and is probably only necessary if you decide after reading the first two that you MUST build a ship of war. Chapelle's writing at first may seem dense with the unfamiliar arcana of wooden ships, but there is a secret to using these books as source material for model ship building: Start by just leafing through and looking at the illustrations! Put a bookmark at the illustration of each ship that piques your interest. Then, go back through and decide which you like the most. Once you have settled on a starting point, find where that ship is mentioned in the text. It should be within a page or two of the illustration. If all else fails, you can always resort to the index. The great thing about Chapelle's writing is that you can pick any page of these books to start reading, and not be completely lost. You may find he references an type of boat from earlier in the book, but you can always go back to that one if you don't understand the comparison. 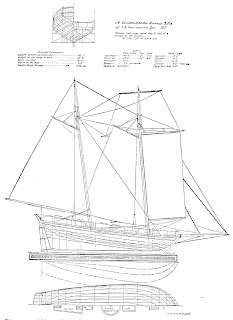 Following this method, you will begin to develop an idea about what kind of ship model you would like to build, whether it's a Chesapeake Bay Skipjack, a Grand Banks fishing schooner, or a navy man-o-war. Just remember, your first model is not going to be your best, so you want to start with a project that's O.K. to learn on, and maybe make a few mistakes. Once you have a pretty good idea what model ship you want to build, you can go online to see if it's available as a ship model kit, or if you would have tackle building from scratch. The good news is, there are a lot of different ship model kits out there to choose from. The bad news is, they can be pricey. Next time: an overview of available ship model kits! Confused By All Those Lines on a Ship Plan?